OutDoor is actually more InDoor, but it's all about outdoor stuff. Last year was our first time on the fair, and this year we knew what to expect: loads and loads of new stuff, communication, people, people and more people. Fun though, having the chance to discover all this new gear from all around the world. Dennis visited the Netherlands first. We had a family reunion of the Van Hoek family. After we'd socialised enough we left for Ettringen. We drove to Stuttgart to climb indoors (and outdoors) before heading to Friedrichshafen. Fun for a good session in the evening! The next day the spectacle started in Friedrichshafen. Representing Petzl for the Netherlands, visiting our sponsors and a couple of potential new sponsors, chatting with fellow climbers from all over the world and discover whats new on the market. The lightest climbing helmet in the World. 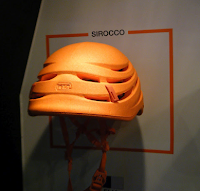 Won the big Gold medal for the innovative design on the OutDoor fair and so so light that wearing a helmet now becomes even more comfortable then going climbing without. Details: magnetic clip system that allows you to undo and redo the chin strap with one hand. Available in 2 sizes. Lightweight adjustable system to fit the helmet perfectly on every head. Flexible so it doesn't break but just bends when a rock would it your helmet. So after an accident your helmet is still useful. Awesome! 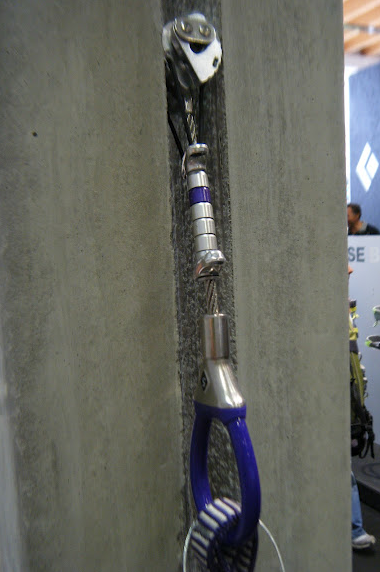 The best sportsclimbing quickdraw now got even better. Lighter and more ergonomic. The shape has slightly changed. It's now even easier to clip in the rope and unclip the draw from the bolt because of the slightly changed shape. The colours are slightly different, just a bit fancier and the sling is lighter but properly wide to make 'pulling draws' 'comfortable'. 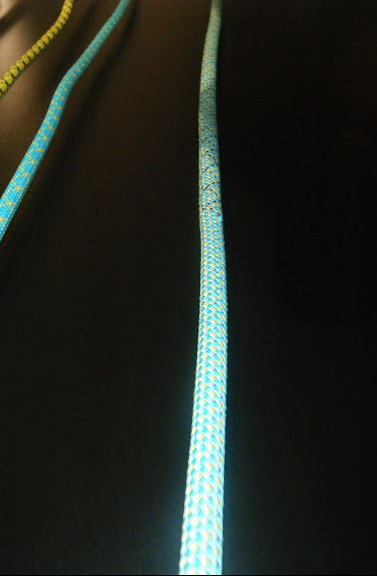 A rope that is light, thin, easy to hande but lasts longer then any other of the same thickness. Why? The end you tie into your harness is thicker then the actual part that runs through your belay device. A very smart new threading system allows this. Nw BD cams, with a very flexible axle, so it says even better in place. Not (yet?) in all sizes, but just form grey to green. A very durable tent with dyneema fibers for extra strength in the most 'horrible' storm conditions. Dutch company Rubytec makes all kind of innovative small gear that looks like a funny goodie in the fist place but then turns to be super handy. Like the solar power and wind up powered lamp that is now in a glow-in-the-dark version so you can actually find it when it's dark. And this bracelet made of super strong dyneema rope (holds 350kg). Good for all kinds of emergency uses. We saw t-shirts that cool you down when it's extremely warm (Mountain Hardwear), super sticky viaferrata gloves and very fine waterproof jackets in nice colours (Outdoor Research), super durable alpine pants and the ever best sleepingbags, and down jackets (RAB), a new lightweight alpine climbing backpack (Lowe Alpine), the every cool 'Live Simply' shirts from Patagonia, anti-fog sunglasses from Adidas eyewear, all round climbing shoes from Five Ten, new Klattermusen jackets, trousers and LOADS more. EOCA is the European Outdoor Conservation Association. They are the united association that connects a lot of different outdoor conservation funds, clubs, companies and federations. Respect the Mountains, of which I'm ambassador is one of them. 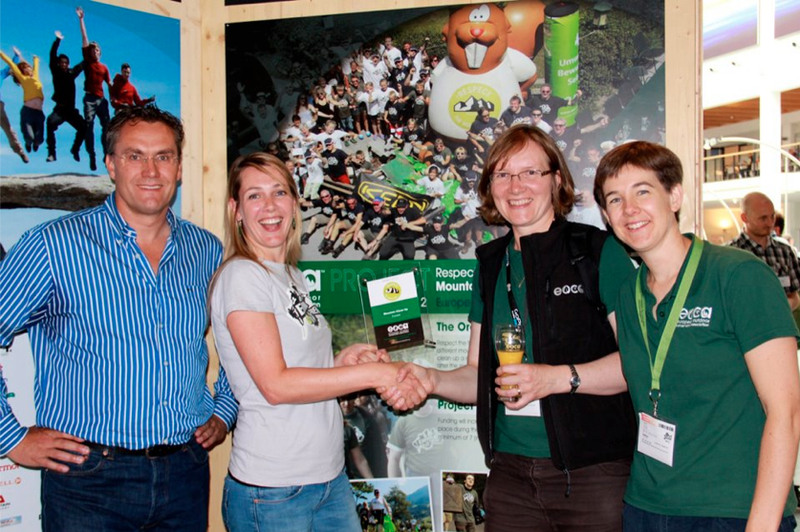 Every year there is an organisation that wins an award for what they do in nature conservation. This year Respect the Mountains won the Award! Including a 20k grant to spent on the 'EnviroTrack' initiative which I wrote about before. 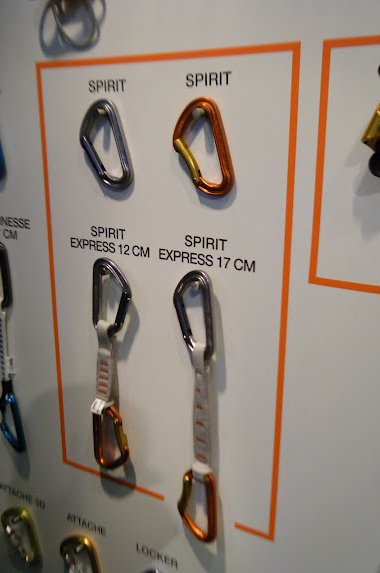 Also Petzl donates money to the EOCA. And now another week in France before we'll drive (and float) to Iceland for a month full of trad, alpine and running!